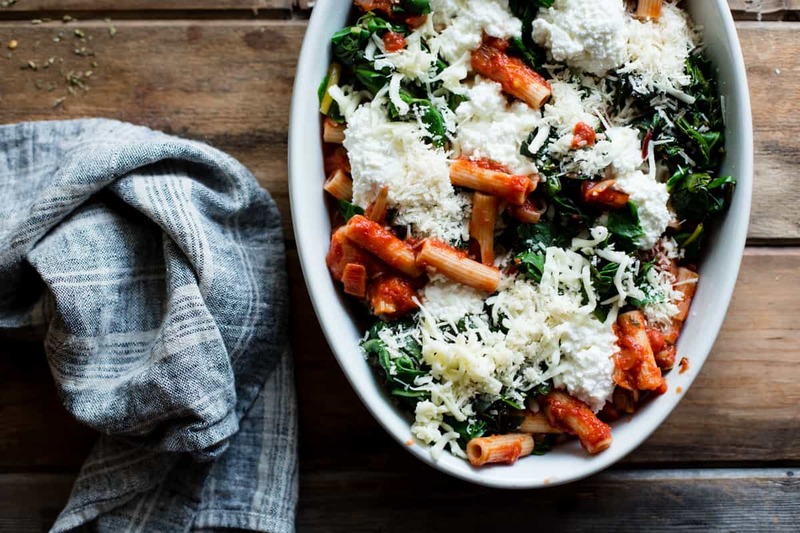 Chard leaves and stems lighten up this twist on the classic baked ziti made with gluten-free pasta, ricotta, and a thick tomato puree. My niece Cierra is one of my favorite people on the planet. She’s funny, smart, talented beyond belief, with infectious warmth and generosity. She’s got the voice of a Broadway star and the dance moves to match. She’s currently in her second year of studying musical theater at a conservatory in Manhattan. Cierra was in town for the holidays. Since mine were spent with my nose buried in my manuscript, we only got a day together before she heads back across the country tomorrow morning. We met for lunch in the Marina at Seed + Salt for vegan burgers wrapped in collard greens, a mock-tuna salad plate, matcha lattes, and grain-free cookies and brownies for dessert. We went shopping and ran some errands, then headed back to my ‘hood for yoga. Dinner was this pasta with salad and kombucha, and I baked some cookies for dessert – a variation of a recipe that’s in the book which I’m SO excited for you to try. Cierra swore they were the best cookies she’s ever tasted. Then we watched cat vidoes. And yet the day wasn’t nearly long enough. Saying goodbye was hard. Cierra’s technically young enough to be my daughter; our age difference is close to Lorelai and Rory’s. I don’t have many maternal urges (except when it comes to this guy) but with Cierra I get that protective, worried-mom thing. I just want to shower her with gifts, and force-feed her pasta and cookies, and hold her tight so she never leaves and we can hang out forever. At dinner, we talked about her kitchen in their New York apartment. Like me, Cierra loves good food and came from a family with a foodie dad and a mom who’s passionate about health and wellness. Her days are filled with dance, singing, and acting classes and she’s so busy that she struggles to eat healthfully on a college student’s budget. But she loves to cook when she’s got the time, and we both wished we’d gotten to spend more days together doing just that. After she left on Monday night, I began thinking of bits of kitchen wisdom I’d like to share with her, so I noted them down here. Always have two kinds of salt in your kitchen: a fine sea or kosher salt for baking and cooking, and a coarse flaky salt for finishing anything, from salads to chocolate chip cookies, to make you feel instantly fancy. Keep them in a jar rather than a shaker so you can grab salt with your fingers or a measuring spoon. Invest in a decent pepper mill and grind it over your food when serving; it will add a spicy, floral top-note to any dish. Cheese should be wrapped in parchment and kept in an airtight glass container rather than suffocated in plastic. This lets the cheese breathe and keeps it fresh longer. Buy a roll of parchment paper – it’s the best thing ever. Actually, scratch that – pre-cut parchment sheets are the best thing ever. Don’t buy teflon anything. It’s not good for you, it doesn’t prevent sticking, and it will get scratched and, if you’re like I was in college, you will eat rice flecked with flakes of black teflon and spend the rest of your days worrying that they gave you cancer. Plastic is scary stuff. Try to avoid having it touch your food at any stage of the game. 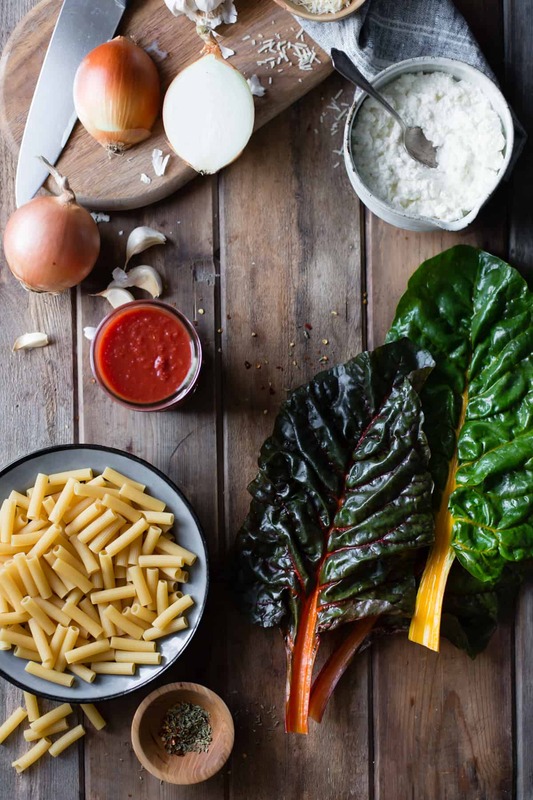 Yes, chard stems are edible, but you have to cook the crap out of them first. When you cook pasta, the water should be “salty, like the mediterranean sea.” This will make your noodles more flavorful from the get go. Beware of the latest fad diet or superfood; what’s considered healthy today may be thought of differently tomorrow. Everything in moderation is proven time after time to be the answer to what is truly healthy. When cutting round vegetables like onions, try to get a flat edge as soon as you can. This will make cutting safer. Salt things at the beginning of the cooking process (except beans and legumes). Make a list of your favorite quick meals and keep it on your fridge or in your phone so you can pick up ingredients when you’re passing by a grocer. Here are some of mine: Quesadillas stuffed with sauteed greens. A couple of different smoothies. Green salads topped with protein: beans, feta cheese, smoked fish, chicken breast or hard-boiled eggs all work. Toast topped with melted cheese, sauerkraut, avocado and pesto. When I’m sick, bouillon and a handful of rice boiled until tender and mixed with a spoonful of miso and handful of spinach leaves hits the spot. 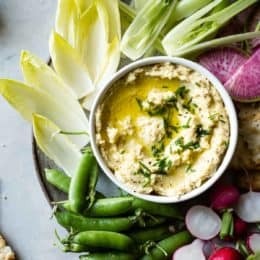 For healthy snacks, I like apples and sharp cheddar or salted almond butter, and seedy GF crackers with hummus or avocado. And for late-night study snacks, popcorn tossed with olive oil, curry powder, nutritional yeast and garlic powder is the best. And kombucha diluted with fizzy water is the best soda substitute. When you have a few spare hours on the weekend, make a big batch of something hearty that you can eat for a few days, like a pot of soup, a curry, or a baked pasta. They just get better as they hang out in the fridge. 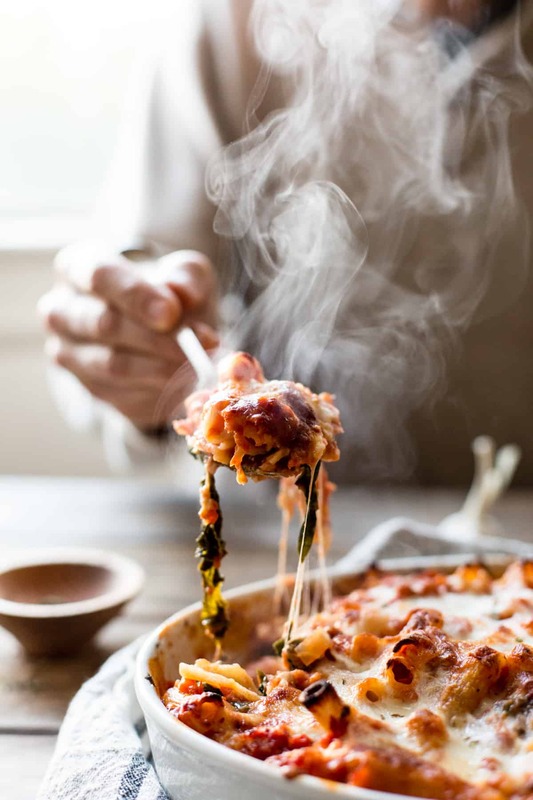 The mother in me wants to ship Cierra back to college with a pan of this pasta, but I’ll just have to settle for sharing the recipe and some photos here. I’ve had an insatiable hankering for any type of pasta with good red sauce for the last few months, and this is my current favorite. I’ve made it at least half a dozen times, working out the kinks as I’ve gone, and we just crave it more and more. It’s pretty classic, but it gets a kick from good oregano and chili flakes (both from Spice Society), and the stems and leaves from two big bunches of chard. It’s rather like a lasagne without the fuss of those pesky wide noodles that like to stick together. A few key ingredients really make this dish. Start with a good pasta, and cook it until it’s still quite firm, firmer than you would want to eat. It gets tossed with hot sauce and baked for 15-20 minutes, absorbing more moisture from the sauce and softening further, so undercooking it in the first stage helps prevent it from falling apart too much. Next, look for tomato puree or passata, or crushed tomatoes, that have been preserved in glass jars rather than cans. I’ve found that these taste a thousand times more fresh and flavorful than their tinned counterparts. I’ve listed my favorites down below. And lastly, ricotta, particularly when baked, can either taste watery and metallic or like the dumplings of angels. 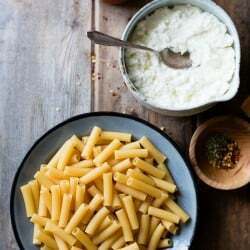 Always get the best stuff you can find; it should be thick and off-white, dense and creamy with large curds, and you should want to eat it right out of the container. 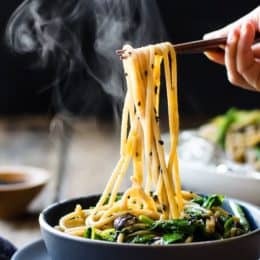 I’ve linked to my favorites in the recipe below. What are you cooking this month? Snap a photo and tag it on Instagram #eatgreen2016 for a chance to win one of five delicious boxes of organic spices from Spice Society. Cheesy, vegetarian, gluten-free baked pasta deliciousness adapted from Smitten Kitchen’s Old-School Baked Ziti. 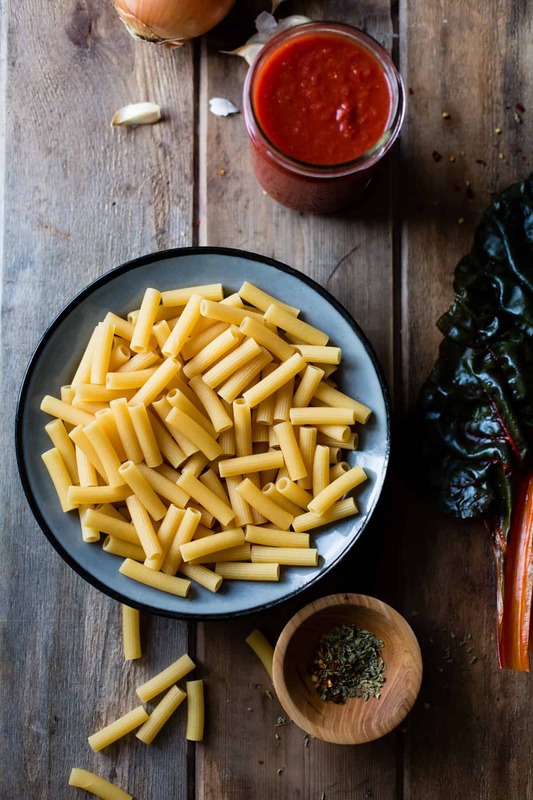 A few good ingredients will make this dish extra-delicious: gluten-free pasta, tomatoes preserved in glass jars rather than cans, and whole-milk ricotta. I’ve linked to my favorites of each below. If you don’t have chard handy, use spinach or another green in its place and skip the business about the stems. Position a rack in upper third of the oven and preheat to 425ºF. Rinse the chard leaves and stems well of any sandy grit. 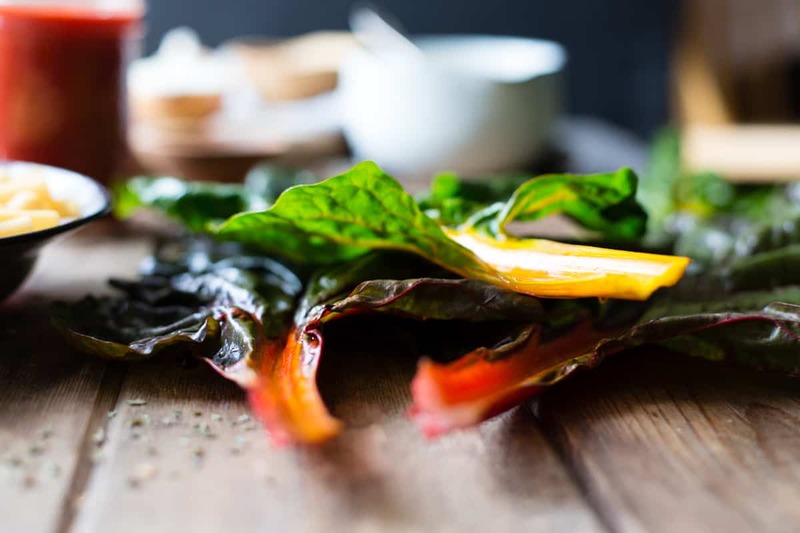 Use a sharp knife to slice the leaves off of the chard stems. Tear the leaves into large pieces and set aside. Slice the stems thinly crosswise, about ¼ - ½-inch thick. If either are still sandy, soak them separately in bowls of cool water, swishing occasionally and letting the sand fall to the bottom, then lift out the leaves / stems and shake dry. Place the oil in a wide, non-reactive skillet large enough to hold all of the sauce and place over medium heat until the oil shimmers. Add the chard stems, onion, garlic, oregano, pepper flakes, salt, and pepper. Cook, stirring occasionally, until the onion is golden and the chard stems are soft, about 15 minutes. Add the passata or crushed tomatoes and bring to a simmer. Reduce the heat to low and simmer, stirring occasionally, until the sauce is quite thick, 15 - 20 minutes, or longer if needed. While the sauce cooks, fill a large pot partway with water and 1 heaping tablespoon salt and bring to a boil. Add the rigatoni and cook, stirring occasionally, until still quite firm, about 2-3 minutes short of al dente. The pasta will cook further when the sauce is added and we don’t want it to get soggy. When the pasta is done, drain it and rinse briefly with cool water to stop the cooking. Drain well and set aside. Put the chard leaves in the now empty pot, add a splash of water, cover the pot, and set over a medium-low flame. Cook until the chard is wilted and bright green, 3-5 minutes, stirring once or twice. 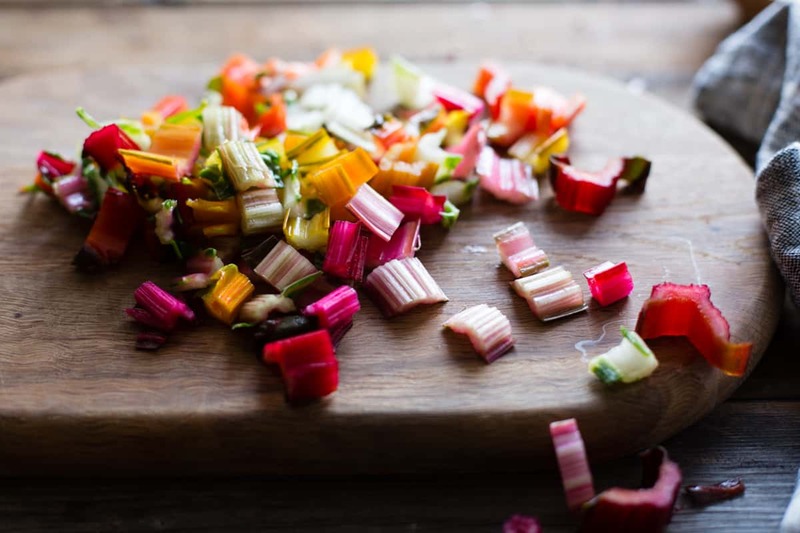 Drain the chard, rinse with cool water, and squeeze dry; it will have reduced dramatically in volume. Chop coarsely. Place in the oven and bake until the sauce is bubbly and the cheese is bronzed, 15-20 minutes. Serve hot, finished with a little extra parmesan and oregano if you like. Leftovers keep well, refrigerated airtight, for up to 5 days. Reheat in a 350ºF oven until hot. 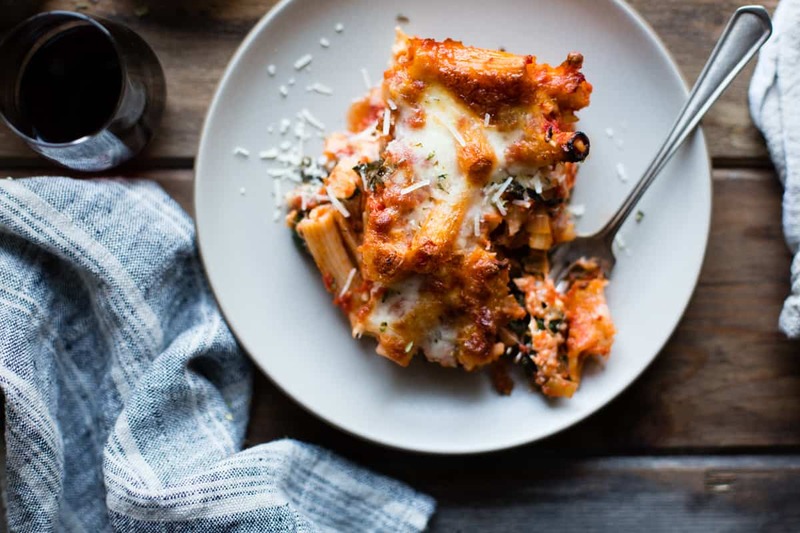 baked ziti is so cozy! 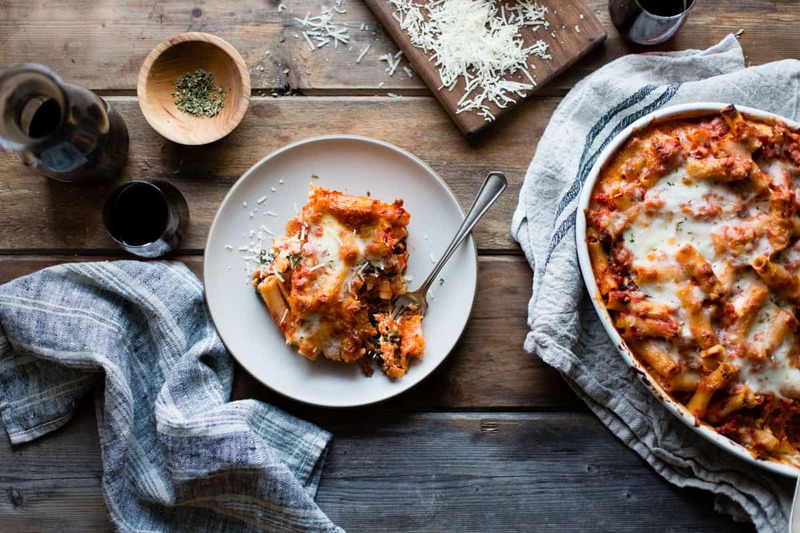 and this sounds like it has the perfect amount of chard; enough so that it’s healthier and you get your greens in, but not so much that it’s everywhere (i made a squash and chard lasagna once, and it was a lot healthier tasting than anyone wanted). Yes! Yes to loving up the college-age niece. I have one myself and wish I could cook her dinner a lot more often than I get to. 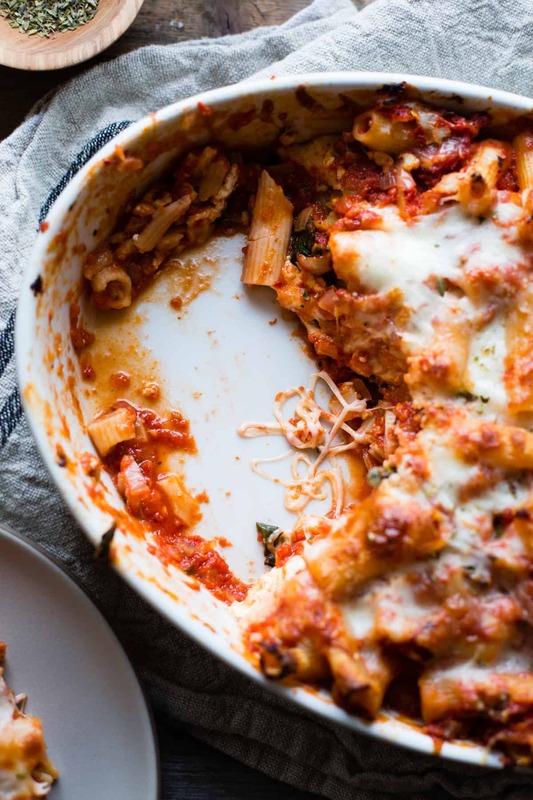 And yes to hot cheesy baked pasta, and good ricotta (so easy to make!) and NO TEFLON. Beautiful post! Mmmm! 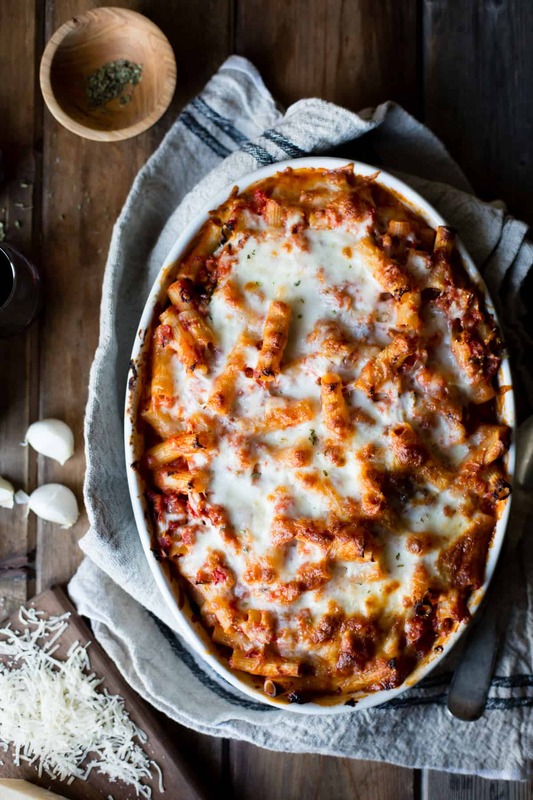 I’ve been craving baked pasta like MAD lately. Must be the weather, darn dampness. Great post my friend! Omg Alanna this is the sweetest!!! Reading through all those tips made me feel like I had my own cooking goddess version of Lorelei in my life bestowing all her wisdom upon me. Thank you for sharing all of that wonderful advice with all of us!! Cierra is super lucky to have such a hip, awesome aunt like you! And this pasta looks DELICIOUS. 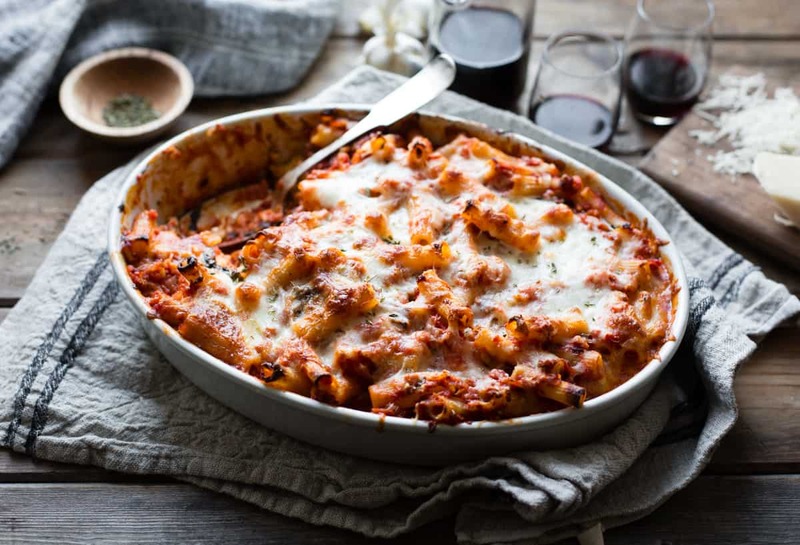 I recently received a bag of fancy rigatoni from Eataly and have been saving it for a worthy occasion–I think this pasta bake is it! Thank you for being such a wonderful aunt to Cierra! Considering that she did not get her love of cooking from me, I am grateful for all the support and healthy guidance you have given her around cooking and baking. I love the beautiful and fun connection between you two. Let’s go visit her in New York! Mmmmm – this was so yummy! I wish I had it for lunch today! 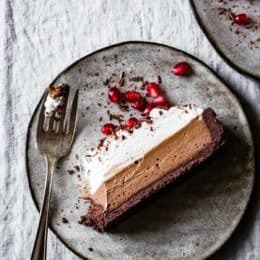 I love these photos, this recipes, and your tips! I have one to add – parchment sheets are one of my obsessions. You can buy them in packs which are pre-cut to match the size of various baking pans. They are so easy to work with! Cierra is lucky to have you; I wish I’d had more of a cooking role model. Parchment sheets to the rescue! Thanks Jennifer – I updated my list. :) I HATE cutting down rolls of parchment to fit. I’ve had a huge industrial box of full sheet pieces of parchment that I’ve been working through for years now (#spoiled) but I’ll be turning to those precut sheets next. Thanks a million for the tip! Yes, yes, yes to your tips! 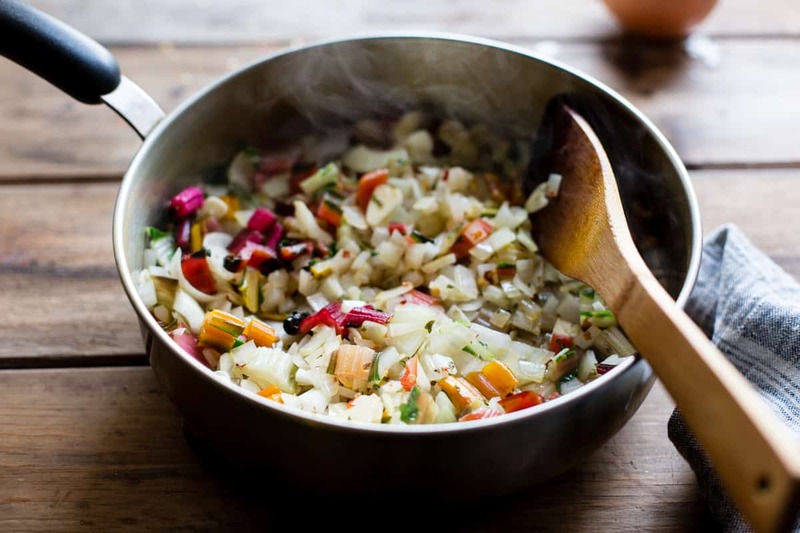 Especially a good knife, salt and pepper, and quick and easy healthy meals that will keep you going into the wee hours of the morning when you need to cram. Oh, I wish you would be my personal chef! I love the flavors here in this pasta bake. The chard is gorgeous! Cierra is so lucky to have so many good food influences in her life. I would have loved to have someone like you to offer me tips like this in college! I ran here because of that incredible baked rigatoni (my favorite!!! ), but oh my gosh, this story captured my heart. I love this so much. You are one amazing aunt. 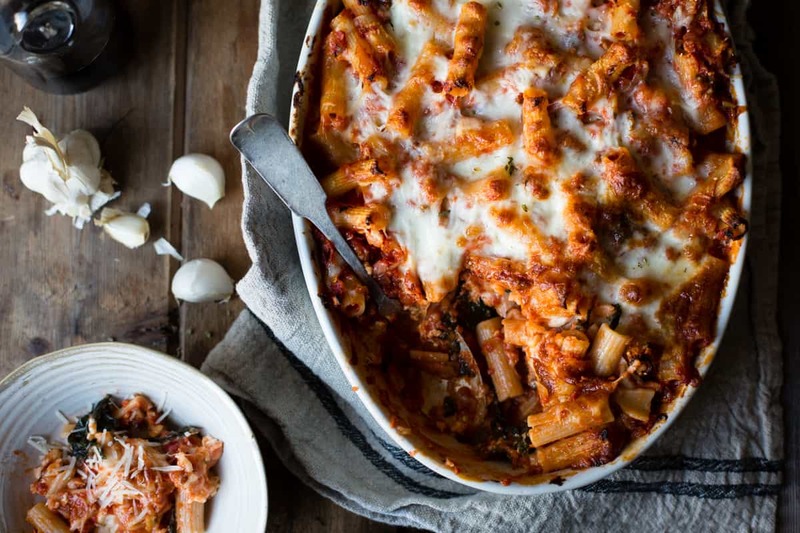 (And also, THIS BAKED RIGATONI.) I love everything about this, Alanna. Thank you for brightening my week! I envy your having a grown-up niece. My oldest nephew is just about to start kindergarten, and while I adore them to bits, I can’t bond with them the way you do with your niece. What an awesome aunt you are. 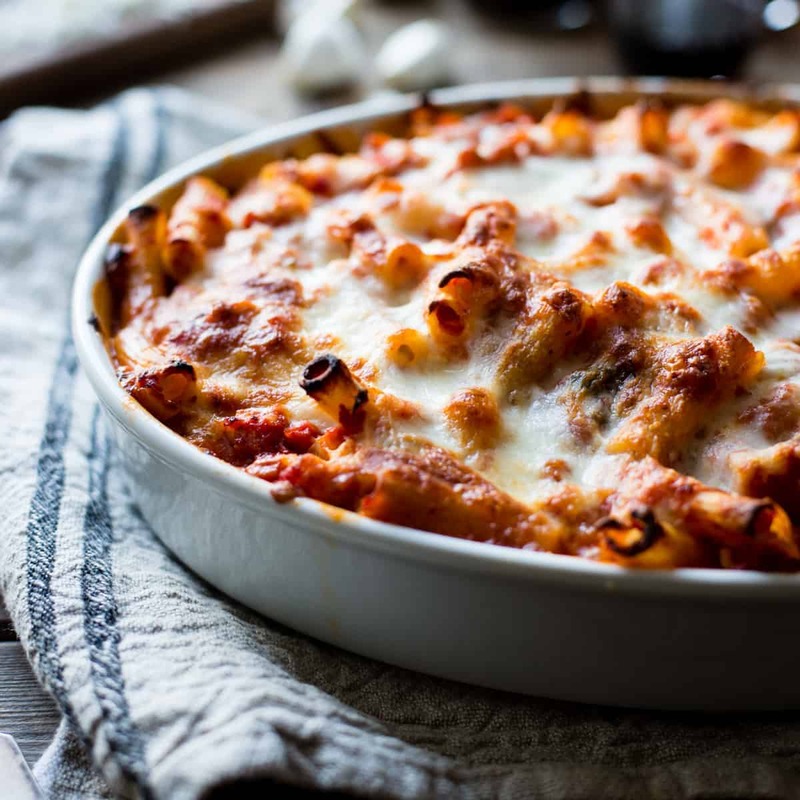 And thanks for this yummy baked rigatoni recipe. This is utterly lovely! THAT PICTURE WITH THE STEAM! Omg. I die! 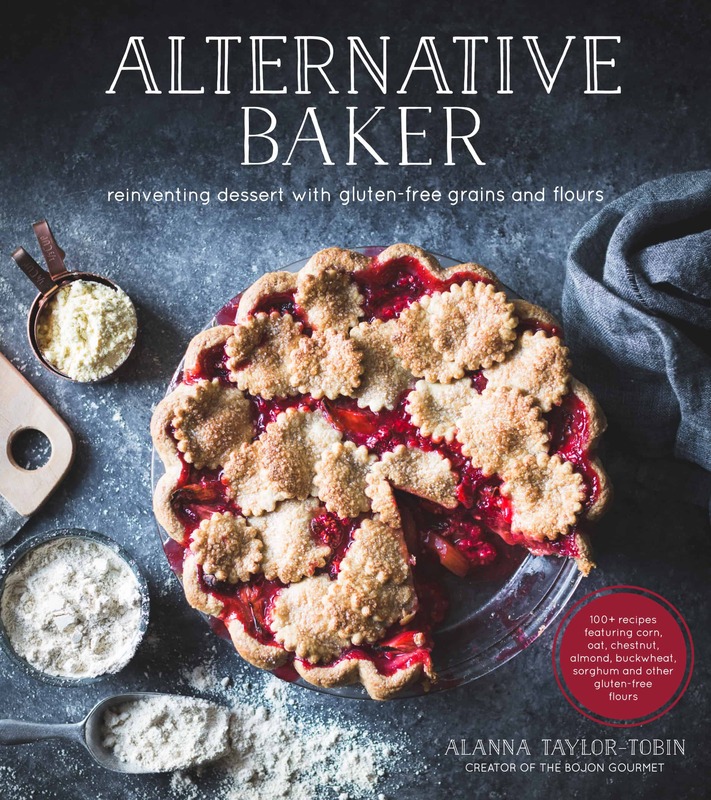 Alanna, everything about this post is amazing.The tips, as college student moving out into a house that isn’t the one I grew up in for the first time next week, are worth their weight in gold (especially your fave quick meals with a list on your phone, and making something hearty on the weekend!) 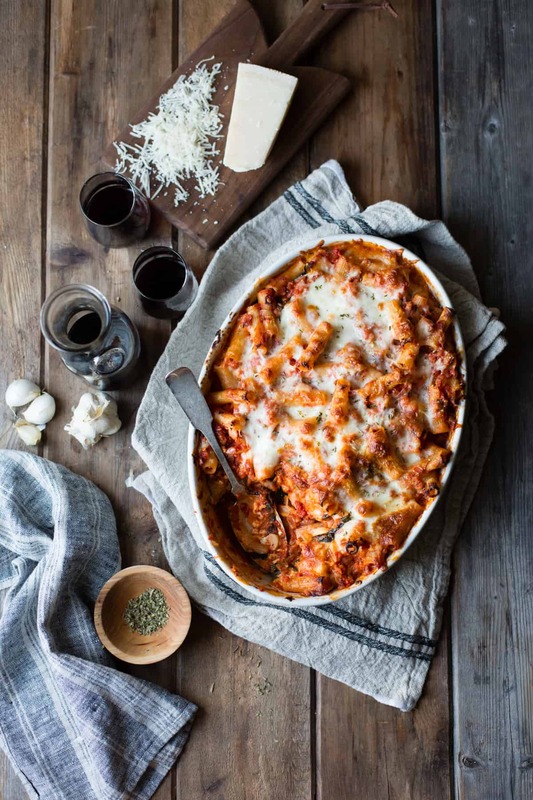 and I will be making this baked rigatoni for SURE this year. Love that it includes your greens right in it! Your photos make me just want to dig right in. Cat videos and cookies sounds like an ideal night to me. 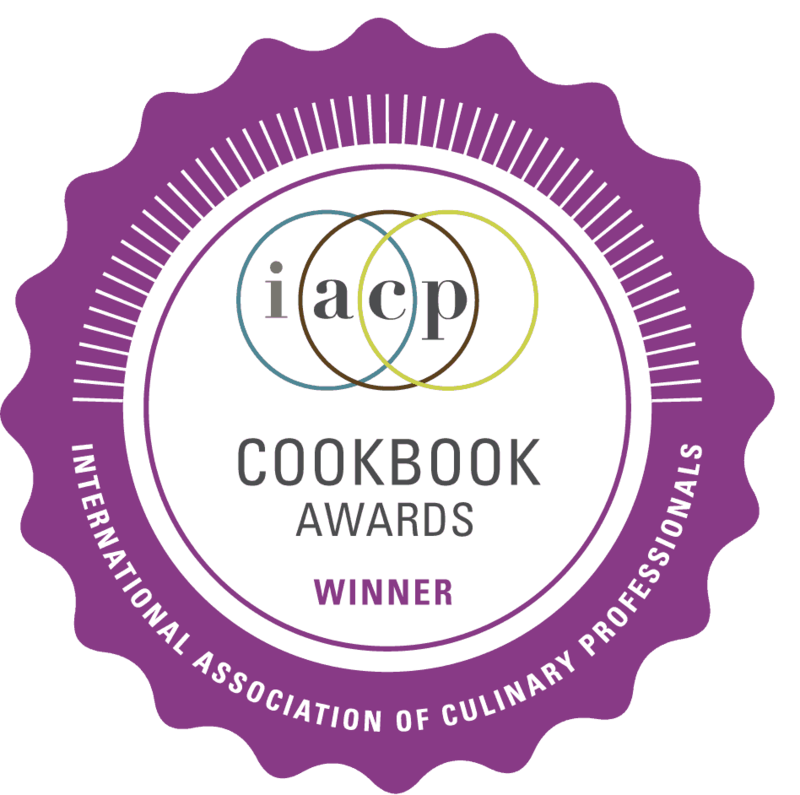 I love all your bits of cooking wisdom, too! I made this last night, and like all of your recipes I have made (many!) , it was delicious. Unfortunately, my fiancé (who normally does clean-up if I’ve cooked at night and want to sleep) covered it but forgot to put it in the fridge. I’ve concluded it must be tossed due to the tomatoes and ricotta, but the internet (at least a quick search) was pretty vague and contradictory on this. 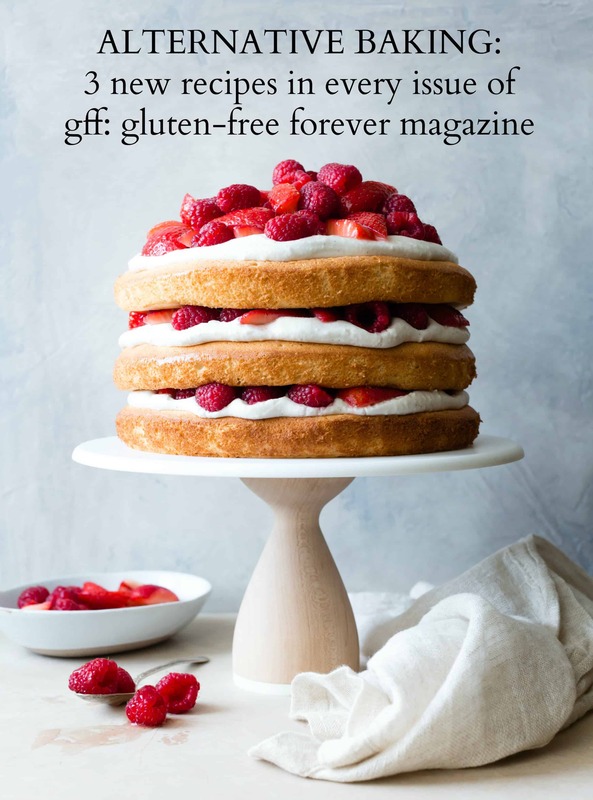 The list you made for Cierra was super useful, and I want to suggest that in a future post you might cover common food safety in a similar format for myself and other newer cooks who read your blog regularly–and maybe a fresher for more experienced cooks! Oh nooooooooo! That’s awful! You’re right, safer to toss it than to risk getting sick – food poisoning is absolutely the worst. If it were me, I would eat it, but I’d be sure to get portions really hot (higher than 170ºF for at least 30 seconds) to kill any bacteria that might be hanging about. The initial bake killed anything that might have been in there, and covering the dish would have prevented bacteria from dropping in from the air. Reheating it past the danger zone would make it even safer. But if you’re nervous, of course throw it out – better safe than sorry! I LOVE the idea of covering some basic food safety tips – thanks for that suggestion! Ooooh something new to do with that blasted chard I get week after week! And isn’t bellweather ricotta the most delicious thing??? I made this for dinner tonight, and I am still drooling. I have never seen any of my kids shovel food into their mouths as quickly as they did with this. WOW! I do have to admit one thing: Not only was I short on time, but Chard is even harder to come by than Kale where I live here in Germany. So I ended up removing the Kale Stems, and finely chopping the leaves. I tossed them with the freshly drained Pasta and Sauce, which slightly wilted them. Then I proceeded with the layering instructions of your recipe, and the outcome truly is beyond words. This will be on regular rotation here for sure. Aw, this note completely made my day. :) I’m so glad you all liked the pasta and that kale makes a good substitution for chard. Yay!